Dental caries is a lifestyle disease that affects almost the entire population. Eating sweets, excessive amounts of sugar and poor oral hygiene are the quickest way to developing dental caries. Below we explain what this disease is, how to treat it and what to do to counteract it. How do dental caries form? Dental caries are caused by several basic factors: biofilm-producing bacteria, excess sugars in the diet, poor hygiene and lack of dental care. Caries are most often found in children whose diet is abundant in sweets. 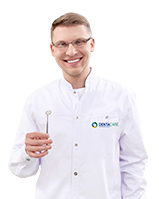 Bacteria live in the dental plaque where they produce acids from the sugars supplied by the diet that destroy hard dental tissues – this process is called demineralisation. Cariogenic bacteria thrive in a low pH environment that is unfavourable for other types of bacteria. The sugars found in our diet are an ideal nutrient for bacteria. Only a few minutes after their consumption, the pH inside the mouth drops below the optimal level for our health. Before food is removed from the mouth and acids are neutralised by saliva to a safe pH value, the teeth may be subjected to harmful effects for as long as 30-60 minutes. The texture of food is also important. The more sticky it is, the longer it will remain inside the mouth, which means the acids will also have more time to do damage. Remember that excessive amounts of sugars in the diet not only affects the formation of caries, but also increases the risk of obesity, diabetes, cardiovascular diseases and many other lifestyle diseases. Some people are more susceptible to dental caries than others. It depends on the quality and structure of the teeth, as well as the amount of saliva produced, which plays an important role in the prevention of caries. It is a source of minerals which contribute to reversing the processes of demineralisation of hard tooth tissues caused by lower pH levels. Bacteria like to inhabit the spaces between the teeth. These places are difficult to reach while performing daily oral hygiene activities. Therefore, in addition to daily brushing, we should also use other types of dental instruments, such as dental floss, interdental brushes and mouthwashes. 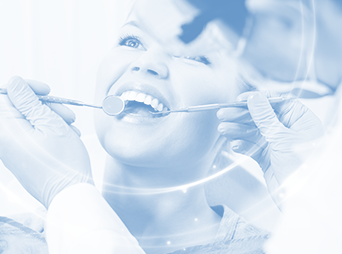 We also recommend a visit to the dentist who will perform sandblasting and scaling treatments. Take care of your teeth to ensure a beautiful and healthy smile!